As those who would be governor campaign throughout the state, we're bringing you conversations with the candidates on In the Moment. We'll share those conversations here so you can learn more about the people and pltatforms behind the postcards that are sure to flutter through your mailbox in the months to come. I suspect what I'll remember most about this first talk with Terry LaFleur is what he believes should be preserved from the past as benchmarks for the future. He spoke about the value of cursive over coding in public schools. When untangling the health insurance puzzle, he fondly recalled the days when doctors were paid by the barter system. LaFleur's ponderings on Muslims in South Dakota reveal a fear of forced conversion and a fear of being overwhelmed by the presence of both Muslims and immigrants ... a rallying cry in the state that conintues to increase in volume and frequency. What do you hold on to from your heritage and from the hallmarks of South Dakota community? What needs to be left behind as we open our arms to a vibrant future for ourselves and our children? My job, as a journalist, is to present each candidate in a fair and balanced way. Your job, as a voter, is to have the final say. Welcome back to In the Moment. I'm Laurie Walsh. What makes a great governor for the state of South Dakota? What are the most important issues of our day? And who do you think will serve the state well in the coming years? The race to become the 33rd governor of the state has begun. Primary elections fall on June 5, 2018. We've invited each candidate for governor to join us on In the Moment, so you can to know them better. 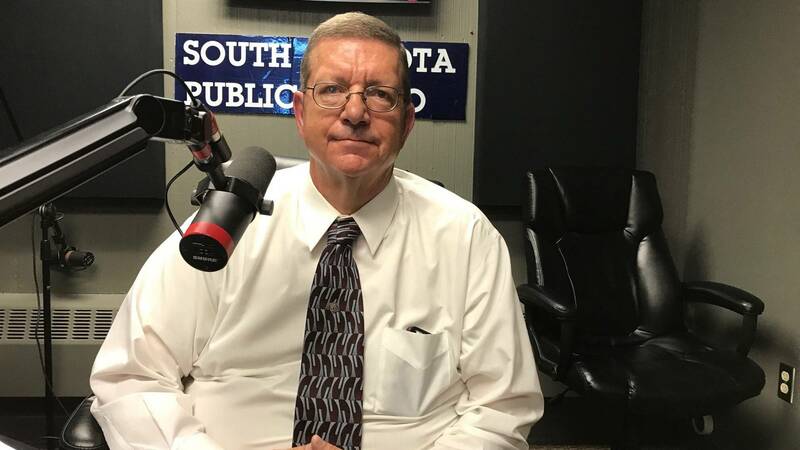 Today we're broadcasting live from the SDPB studios at the University of Sioux Falls, and sitting across the desk from me is candidate Terry LaFleur. Welcome. Let's talk a little bit of your background. A history of public service? Or this new journey for you? No, I come from a history of being a citizen. Basically, I decided after years of working in the public and private sectors to return to school and get my undergrad degree, which I had begun in the 70s, '76 actually. '75-'76. I came back, went to the University of South Dakota, our Alma Mater. I would have been done at three-and-a-half years but because the Board of Regions kind of pulled the funding out from everyone at that point and time, I had to continue on for another semester. So I graduated in December of '97 and started my Masters in Public Administration, and sat for the LSAT and filed an application to attend law schools at six different law schools. I was accepted by Thomas Cooley, Thomas M. Cooley Law School in Lansing, Michigan. So I decided to move my family, lock, stock, and barrel out to Michigan, and four years later, I returned home to South Dakota with my Juris Doctorate degree. You practiced law in South Dakota then? No, I don't have my bar card. I am a lawyer but not an attorney. What's the distinction then for you? We use the word lawyer rather loosely. Basically, the definition of a lawyer is someone who has studied how to study the law. An attorney is someone who has a bar card or license to practice law. I know it's used quite frequently, but I mean you could use doctor. You could use esquire. Before they had bar exams, everyone was called a lawyer because you studied how to study the law, and you became a lawyer. You struggled passing the bar exam in South Dakota. You want to talk a little bit about what you tried to overcome in the case that went to the South Dakota Supreme Court? Which case? I mean there was two of them. The first thing you need to know about the South Dakota bar exam, it's an exclusionary test. It's not an inclusionary test. It's not like passing your medical boards or your dental boards or anything like that. It's actually very tricky. They try to trick you. They try to change it up from test to test. You never know what you're gonna have to cover. There's 12 areas of state law that you have to be comprehensibly prepared for. Seven of the 12 areas are at the time of the exam, and one is thrown out just moments before you say go. So you never know. So you've gotta be comprehensibly prepared, and then you have your main six core required classes like torrent law and criminal law, that type of thing, evidence. You gotta be up on all of that too, but it's not an easy test. Every time I took the bar exam, I improved my score on both sides of the continuum. Actually, I believe I passed the bar exam on my last exam, but that's the way it is. What kind of work are you in now? Right now I'm semi-retired. I've been a jack-of-all-trades, just working hard throughout my life to try to support my family and raise my children and make sure that they get on the right path in life and teach them the tools that they need to be successful. Two primary things I tell my children from the time they're old enough to walk and talk is that if you need to do something, you need to ask yourself two questions. First, do I really need to do this? And secondly, is it gonna make Mom and Dad happy? If you get a no answer to either question, just don't do it. Let your conscience be your guide. Tell me what kind of conversations you're having with voters right now, who are concerned about lack of experience, or they want someone who maybe knows the legislature a little better. Well, there's a lot of issues. The primary one I'm hearing from people is that they're tired of tax increases. They're tired of the healthcare disaster in our country. Obamacare is an absolute ... It's bunk. I mean there's no way that's ever gonna make it down the line. No one wants to take a hold of it because no one wants to be responsible or take the heat, and I believe that they really don't have a replacement plan per se. They're just kind of, like Obama did, he just kind of flew in off the cuff, and this is what we're gonna do. And it was brought in and voted for and approved by Democrats, and Republicans had no voice in it. We're stuck with it now. It's law. So now we gotta try to find a way to repeal it, but we also have to find a way to replace it. You're for universal healthcare? Let's talk about what that means. I am for affordable healthcare. I've actually changed that wording on my website because I don't want it to be anywhere or anyhow associated with Obamacare. I want it to be affordable. Okay, so this morning, it still said universal. Well, if you read my blogs and everything that I've been posting, I'm talking about it as affordable healthcare. It has to be affordable in order to work. Right. How are you gonna do it here in South Dakota? What are the steps that we need to take within the state to move in that direction? Within the state, we need to do two things I believe. First, we need to decrease the number of government regulations over healthcare, and we need to get corporations out of healthcare. Corporations are actually the reason why healthcare costs are soaring in our state. I believe that healthcare should be reserved to the people, not to the government. The people know what they need. They know what they want, and we can work together with the people and the state legislature to make that happen. But it has to be affordable. It has to be accessible by all people, no matter what race, no matter what religion, no matter what lane on the highway you're driving in. You gotta be able to afford it. You shouldn't be deprived competent medical healthcare because you can't afford it. And the guy sitting next to you can. I mean how do you draw the line? What value do you put on a person's life? I mean my God, people with cancer, they're being made to pay $25,000 for a single treatment. That's outrageous. That's insane. Are there certain regulations that you think would address that? Well sure, you just get the greed out of it, and everything's gonna go back to the old service model programs of days gone by, where doctors came out and seen you at your home. You know? I know it's kind of a cliché, but we used to pay doctors with chickens. You know? I honestly believe that doctors and nurses and orderlies and all of the support staff therein, all they want to do is do their brand of medicine. They just want to do their job. They want to help people. That's what they went to medical school for. They didn't go to medical school to make six billion dollars a year and buy a mansion. No. They went there because they want to help people, and that's what they want to do. But their hands are tied because they have to cooperate with the big guys. There's three corporations in South Dakota that are controlling the entire healthcare industry, and they're all in it for the money. It's not about people. You're a number to them. You're not Laurie, and they're not Terry. They're just a number on a form that's filed away in a filing cabinet. And a lot of times, when you go to the ER, you probably won't see a medical doctor, per se, for more than five or 10 minutes in the entire visit. Last time I was at the ER, I sat there for four-and-a-half hours. Nurses and PAs came in. I seen the doctor for five minutes, and he was gone. Then I was out the door. I had a sinus infection. I knew I had it when I went there, but you can't get a doctor to write you an antibiotic prescription unless they see you. So I had to go in, and I had to accrue a debt. I have Medicare, Medicare A and B. I had to go in and accrue a debt. I sat there for four-and-a-half hours. They took my temperature. They took my vitals. They came in. The PA left the room a couple of times. She came back. The doctor came in, seen me. He left. She came back in and handed me a prescription. It was for an antibiotic, and I told them repeatedly while I was there, "I would like to get a prescription that I can fill at Walmart on the four-dollar menu choice." They had four or five selections that I could have got for that price because I don't have Part D insurance. So what I'm wondering, I guess the heart of my question is, is this the governor of South Dakota's problem to solve? Do you think that fits within the role? It's the peoples' problem to solve. The governor can't solve it on his own. We have to work together to do this. We have to come together with one united voice to work though these problems, and we need to listen to the people. A governor has to be a good listener. If you don't listen to your people, you're not gonna accomplish anything. This has to be a unified front with one voice coming together to solve these problems. If we do it, we can work together. We have to work together, and if we do, we can accomplish anything that we must do for South Dakota. Anything. My guest today, gubernatorial candidate Terry LeFleur. Let's talk about taxes. You mentioned tax reform and voters that have been talking to you tired of tax increases. You're proposing a state income tax of 10-15%. Tell me about that. The reason I came up with the 10-15% because historically South Dakota has not had a state income tax. This is not gonna be your run-of-the-mill state income tax like you see in most other states because no other state has a plan like I'm proposing. I'm proposing a flat tax right across the board. It doesn't matter how much you make, how much you earn in a year's time, you will pay one flat percentage tax. We don't know exactly what that tax is gonna be because it's basically a case of first impression here like they say in the courts. So in the first year, if we can implement this, in the first year, I talked about 10-15%, but it could very well be as low as 7%, 8% on the first year. And if there's a windfall, if there's an excess tax sitting there in the general fund coming from the flat tax income, it's gonna get returned to the people. I don't want to raise anymore taxes than necessary. All we need to do is raise enough money to pay the bills, what we need to do to get the job done in South Dakota. Leave the money in the pockets of the people where it belongs. Let them spend it on what they need to raise their families, to buy a home, to buy a car, whatever the case may be. They don't need to be taxed into the poor farm. We have enough taxes. I'm trying to decrease taxes. I can do it with a combination of things. First, I want to repeal the sales tax on food and necessities. No one should have to pay taxes on food. You have to have food, and you have to have medicine, and you have to have other commodities like diapers and so on and so forth. You understand what I'm saying. You need these things to live. You have to have them, so you shouldn't be taxed for those. Other states don't tax things like food and necessities. They just don't. Iowa doesn't. Just because you don't have an income tax in the state, doesn't mean it's cheaper to live here because other taxes are gonna go up. You see fuel taxes go up. You see tire taxes go up. You see property taxes go up. For example, Sioux Falls, South Dakota just recently the opt-out situation. The Sioux Falls School District decided that people in Sioux Falls needed to have their property taxes raised in Sioux Falls School District. On their own authority, without turning to the voters, which is unconstitutional as all get-out. Without having a constitutional election conducted, whether or not this would be legal, and whether or not the people wanted it, they shoved it down our throats. They don't have any problems sending out a tax bill to your mailbox that says you owe this and this and this. But they had a big issue about notifying everyone that they were gonna have two meetings back-to-back, the first one electing school board members, council members, and the other one was on the opt-out. I didn't know about it, and I'm running for governor. They put a little-bitty blurb on the back pages of the Argus Leader, "We're having these two meetings, and this is what it's about." But it wasn't front page. It was way on the back. They didn't advertise it on radio. They didn't advertise it on TV, and they didn't send a notice to our mailboxes. That's what they should have done, but I believe the reason they didn't is because they knew that if they sent a notice to your mailbox as a property taxpayer, you would have been there, and you would have objected. You would have raised your voice and said, "Hey, this isn't right. We need to have an election." So I actually worked with the people that try to circulate those petitions to get this issue on the ballot in October, a special election ballot, and I just couldn't believe the amount of complacency out there. We couldn't get 6,000 signatures to get this on a ballot, just a simple ballot. We weren't challenging the school board. We weren't challenging the taxpayers. We just wanted the taxpayers to have the right to decide this issue for themselves, and because we didn't get the 6,000 signatures, it's now law. They've done it on their own authority. Let's move on to education or expand the education conversation. Really, you advocate throwing out the core curriculum, going back to reading, writing, arithmetic, as some basics. Do you think that prepares our students for the future? There's teachers that aren't ready for core. There's teachers that have to go back to school to learn how to teach core. The kids don't understand it, and they go home to their parents, and they say, "Mom, Dad, I just don't get this." "Well, I'm sorry, I didn't have core. I had reading, writing, and arithmetic. Now you go to them, I'm a genius. I can fix it." But the old adage my grandpa told me years and years ago. He says, "If it isn't broken, don't fix it." Leave it alone. If it works, leave it alone. Reading, writing, arithmetic, it works. That's what we need to go back to. That's what everyone understands. If you build a house today using core math, I'm sorry, but I wouldn't buy the house. I guarantee I wouldn't, and I have experience in carpentry. So I guarantee you, if they use those types of mathematics in doing the measurements, I would not want that house because you're gonna have ... I mean you have gaps now two to three inches that are covered up. You're gonna have like two to three feet maybe. That's an exaggeration. I have a child in the school system, and my understanding of ... It was a difference in the way they taught math. The math itself, the calculations are the same, but they're teaching them how to think more deeply about how to solve those mathematical problems versus memorizing a multiplication table. We have the same system now. I mean algebra, geometry, and trigonometry, you have rules. You have order of operations. Even in simple math, you have multiplication, division, subtraction, and addition. I mean you don't have to reinvent the wheel here. You just have to be able to come out of high school with the ability to do math without using a calculator or computer. You need to be able to write cursive, which they don't today. We have people coming out of high school that can't do math. They cannot read or write proficiently, and they can't write cursive whatsoever. They print, and it looks like a chicken walked across the plate. I'm sorry. It does. I've seen it, even in college. Coding. I think computers are a great tool, but we rely on them way too much. I'm telling you, kids don't do their own work. The computer does it for them. When I was in high school and junior high, the only ones who were allowed to use a slide ruler were the brains. We called them the brains. The kids that were A students, basically. They knew how to use them. Everyone else had to learn the mathematics multiplication table and go through the old arithmetic and the whole nine yards. No, computers are a great tool, but we rely on them way too much. Way too much. For a first and second draft, I would say, okay, a computer generated paper is great, but I want to see your work. I want to see your thoughts on the paper in your own handwriting, so I can understand exactly where you're coming from. If I was teaching English or composition, I wouldn't allow a computer in my classroom. Final project, yeah, okay, you can print it out, so that I can read it. But I'll tell you what. I've gone through law school, and I've gone through college. And I tell you what, it's all essay. I mean you've got multiple choice in some areas, but most of it's gonna be essays, especially in law school. You have to know how to write. You have to know how to write comprehensively and coherently, and it has to be legible. If the professor can't read it, you're gonna get a zero on that particular question. That's just the way it is. So why would we want to not teach them those skills? Why would we not want to have neat, readable penmanship and cursive? I mean, it's just not happening. Let's move on to issues of faith. How was faith important in your life? Faith is my whole life. God is my Savior, Jesus is also my Savior. Like it says in the Bible, Romans "No one comes unto my Father except by me." And that's Jesus telling us that in order to go to God, we have to come through Him. Your website has some strong language about Muslims, and you were at the Liberty Rally in Sioux Falls. Your name came up in some press coverage of it. I'm wondering why Islam is so important to you as a campaign issue? Islam is not, if they can come here just like all of our ancestors, yours and mine. My great-great ... This is based on family information that's been passed down to me by my mom and my grandfather and so on and so forth. Supposedly, my great-great-great-great-however many greats you want, five or six, grandfather was the first blacksmith in the Dakota Territories before they became North Dakota and South Dakota. He migrated here from Canada, so he was basically ... They called those types of people Canucks. I'm actually one-quarter Canadian Blackfoot Indian. I'm also French, Dutch, and Irish. Dutch and Irish is on my grandfather's side, and Canadian and French is on my dad's side. But I'm not against Islam. What I'm against is the fact that they come over here, and we set them up. I mean basically, hook, line, and sinker, with everything that they need including social security benefits. They get on our county welfare. They're able to work, but they don't. That's what I'm opposed to. Who's able to work? You mean immigrants? Any immigrants, so we're talking immigrants. If they come here, they have to assimilate to our culture. They cannot expect us to change our culture, our religion and demand that we convert to Islam. That's not gonna happen. That's not America. Has anyone demanded that you convert to Islam? Well certainly, the Quran preaches it. They expect it, and if you look around the world, just open your eyes and look around, anywhere where Islam has taken hold as a majority, they don't allow women's rights. They don't allow any non-Muslim religions to exist on the same playing field, on the same level. Do you believe Muslims should be able to practice their faith in peace in South Dakota? Yes, they should. Yes, as long as they don't impose it on others. We have Catholics in South Dakota. We have Lutherans. We have free-will Baptists perhaps. All forms of Christian religion and non-Christian religion. Buddhas and monks and the whole thing. Whatever religion it is, that's what America is. It's a melting pot of multi-culture and multi-religious organizations and groups. They come here for freedom of religion and freedom of speech, primarily. America is about freedom of religion and about freedom of speech. But we have organizations now that are just ... You can't express your opinion because it doesn't agree with my ideology. Islam is like that. Islam is ... And I'm talking about the radical Islam, it's anti anything that's not Muslim. If you're not a Muslim, you are not welcome. You are not part of our society. You are lower than I am as a citizen. We have just about one minute left. My guest Terry LeFleur, and I'm wondering if ... Do you know Muslims? Have you had conversations with them where they talk to you about hate speech, and where that line is between freedom of religion and then really persecuting somebody for their faith here in South Dakota? I actually do have. I've had neighbors before, and I have neighbors now that live in the same complex that are Muslim. What's your relationship with them like? Have you had those deep conversations? We've had neighborhood picnics together, and we've associated publicly together, talked, and ate, and drank. You know. All right, let's end with your website, so people can find out more information about your campaign. My website, you can go to http://www.sdcandidateforgovernor2018.com. I have always been a devoted scribbler in the margins of books. As a reader, I underline and highlight. I add questions marks and exclamation points. I argue with the author. But where are the margins in a radio program like In the Moment? You have to create them. Welcome to In the Margins. It’s a place for behind-the-scenes. It’s a place for expanding the conversation. It’s a place for just one more question.